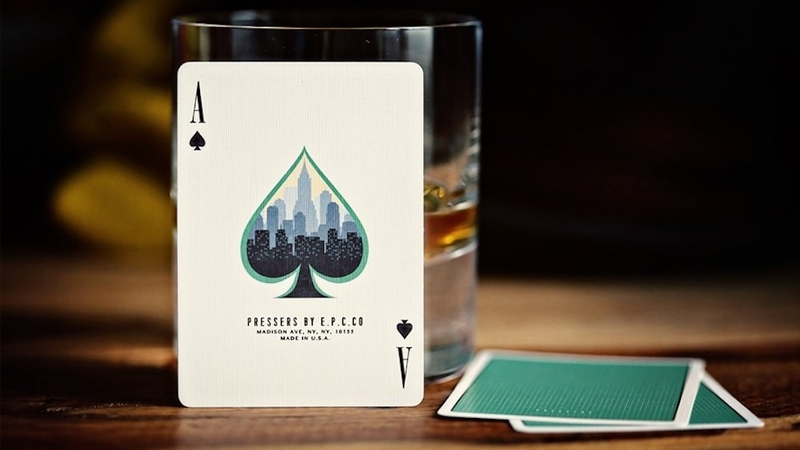 Mad Men-inspired playing cards, nautical whiskey stones, canvas backpacks, and other fancy gifts for dad that won't cost you a fortune. 1. A pair of ship bookends to prove that you're the mast-er at gift giving. Get them from Wayfair for $37.99. 2. A minimalistic watch with a leather strap he can wear every single day. 3. A golden compass to thank your old man for guiding you in the right direction. 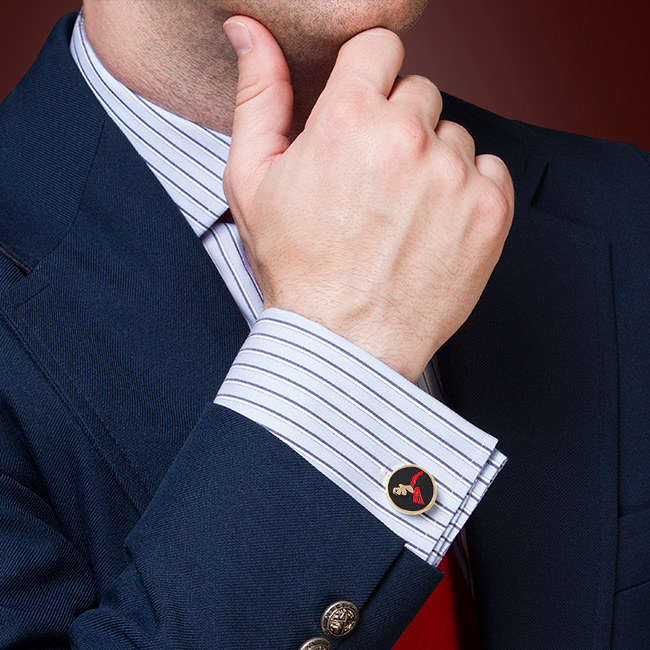 You can have initials or a personal message engraved on the compass. Get it from TealsPrairie on Etsy for $19.99+. 4. A set of nautical whiskey stones because your pa can always keep you anchored when the waters get rough. These whiskey stones are made of recycled soapstone and can chill drinks without diluting them. They're dishwasher-safe and non-porous so they won't absorb any tastes or flavors. Get a set of three from Uncommongoods for $14.95. 5. 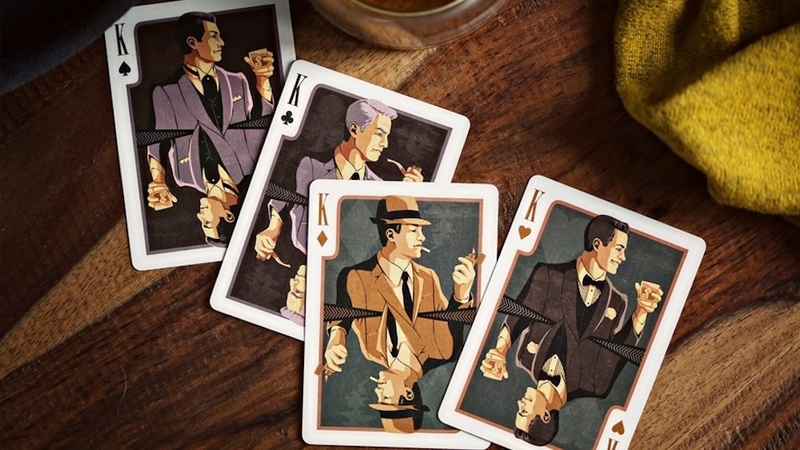 A pack of Mad Men-inspired playing cards that'll bring 1960's flair to poker night. 6. 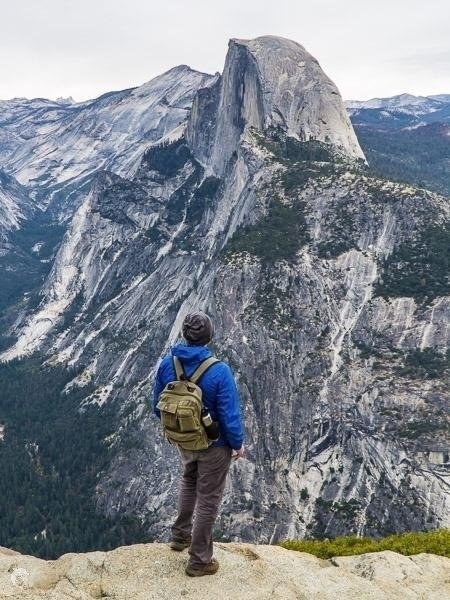 A sturdy canvas backpack he can use for his daily commute as well as weekend hikes. 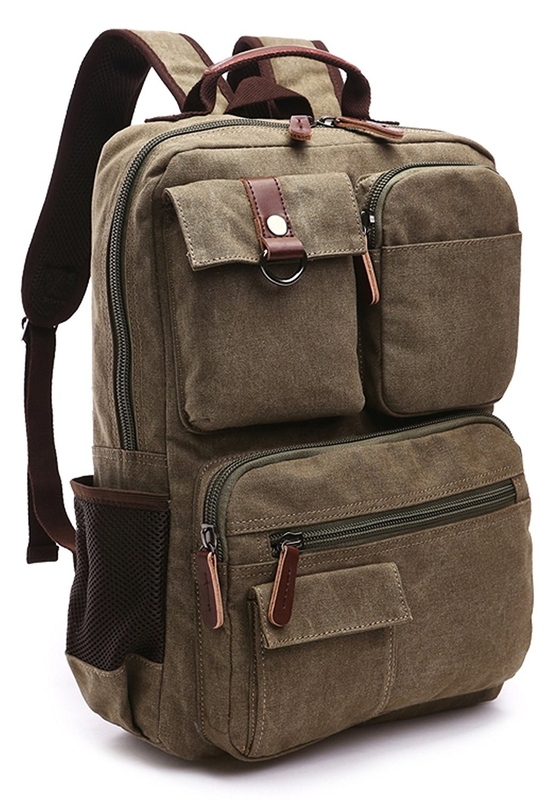 Get it from Amazon for $32.99 (available in 18 styles). 7. A Birchbox Man subscription to help dad branch out and try some new grooming products. He'll get five curated samples each month. 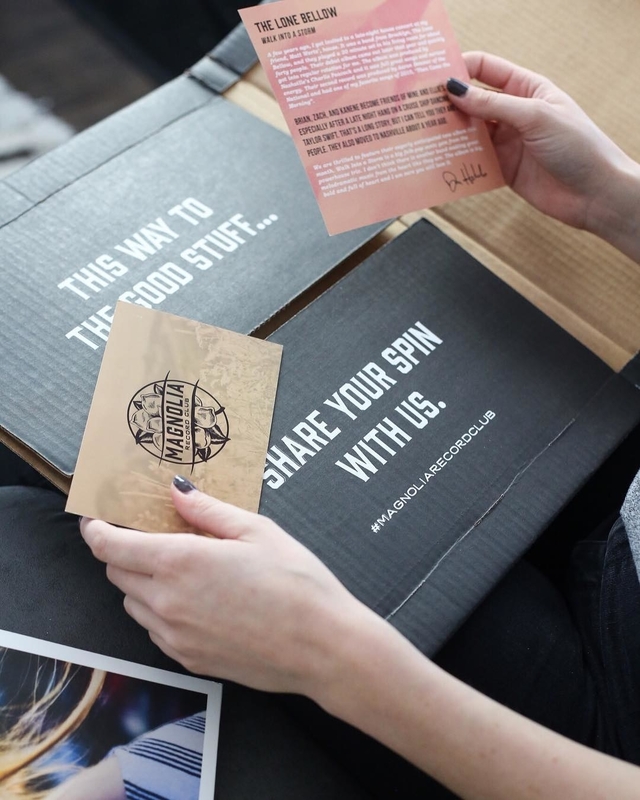 Get a subscription from BirchBoxMan for $10/month. 8. A mini wooden music box because your dad ~kenobi~ a bigger fan of Star Wars. Get it from EnjoyTheWood on Etsy for $26.24. 9. A portable grill that can pack up into a sleek and compact suitcase for spontaneous BBQ sessions. This stainless steel grill measures 12.4"x3.4"x6.5". Get it from ThinkGeek for $21.99. 10. A log cabin incense kit so he can get a dose of aromatherapy after a long day. This set comes with 20 natural wood pinon-scented incense bricks with a cabin-shaped incense holder. 11. A leather-bound classic he'll never get tired of reading. Bad presents? Nevermore. 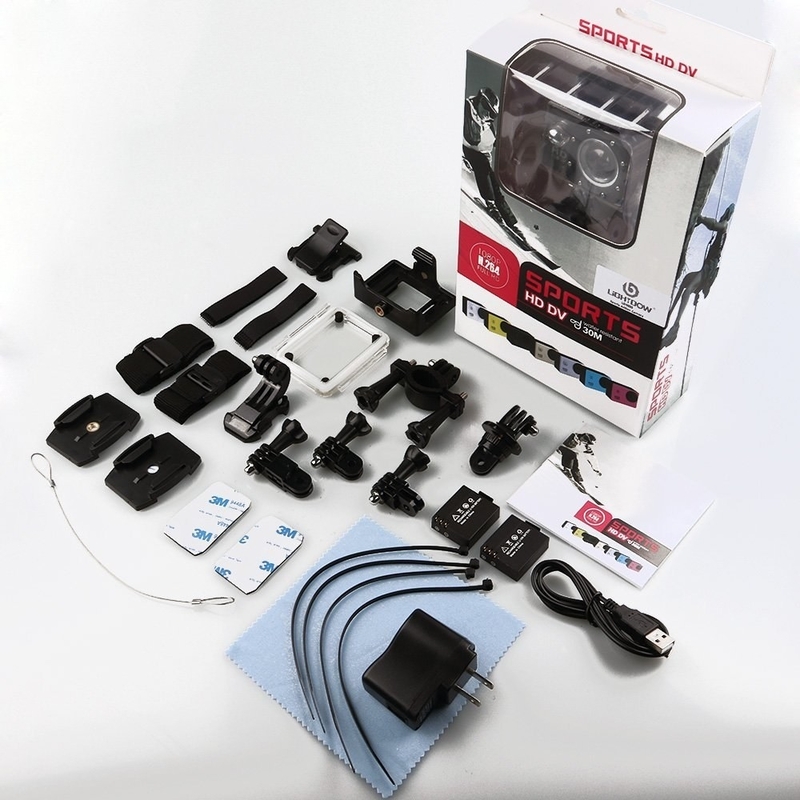 Get it from Amazon for $19.61. 12. An oak wood charging stand for holding all of dad's daily essentials. You can get it personalized for an additional fee. Get it from PaybacksABeach on Etsy for $35+. 13. An aroma-enhancing spirits glass designed to prevent nose burn from alcohol vapors so he can fully enjoy the nuanced flavors of his fave drink. It's designed for drinking alcohol spirits neat, not for iced or mixed drinks. Get a set of two from Amazon for $19.95. 14. 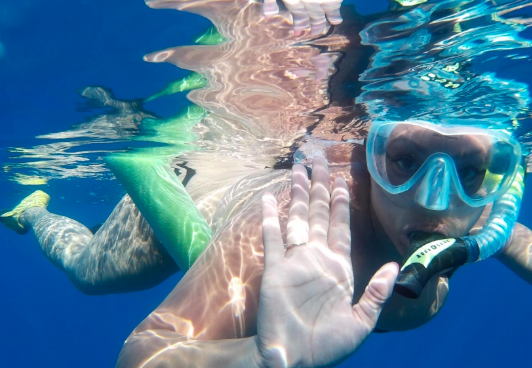 An action camera with a waterproof case so dad doesn't have to shell out the big bucks for a GoPro. Get it from Amazon for $29.99+ (available in two colors). 15. A personalized acacia and slate cheese board (with four utensils) — such a ~gouda~ gift. It measures 8.25" in diameter and 1.25" in height. The utensils can be stored inside the board. in You can personalize the message. Get it from Hayneedle for $33. 16. A Millennium Falcon reading light he won't be able to keep his ~Han~ off. It has an automatic timer that shuts off after 30 minutes to preserve battery. Get it from ThinkGeek for $3.99. 17. A print of Frasier's upscale Seattle apartment that'll remind him to revisit some of his favorite episodes. This matte-finish print measures 10.5”x13” (including white border). Get it from BeautifulPeaceShop on Etsy for $14.43. 18. A weekend grooming kit for the dapper dad who's always on the go. This set includes shampoo/body wash, face wash, face cream, a toothbrush, and toothpaste. Get it from Jet for $24.92. 19. A luxe leather card holder to replace his tattered old wallet. These hand-stitched card holders can be machine stamped with either a gold or plain embossed finish. They're lined with woolen fabric. Get it from ParkinandLewis on Etsy for $18.71. 20. A pair of ice pop socks for your very chill dad. Get this pair from Say It With A Sock for $2.99. Or, gift dad a sock subscription for $11.99/month. Get 10% off your purchase with the code BUZZFEED-DAD. 21. A pair of stylish leather sandals he can wear on vacation or just to take out the trash. These are made of genuine leather. Get them from H&M for $34.99. 22. A set of glass coasters to personalize by inserting photos of you and you pop. Get a set of four from Amazon for $11.81 or World Market for $19.99. 23. 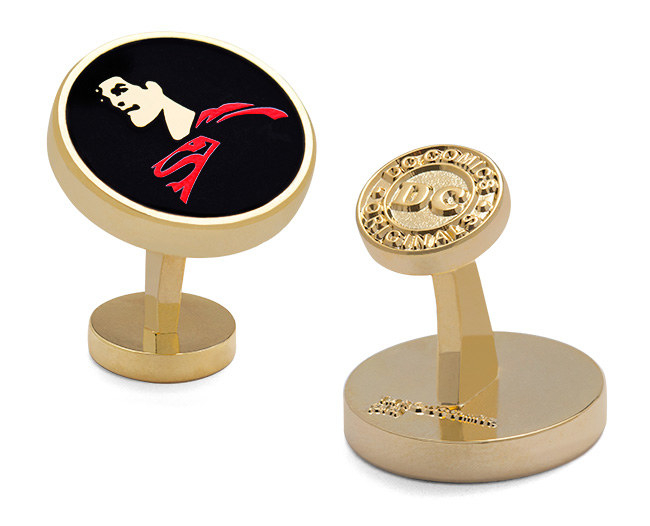 A pair of gold Superman cufflinks because your dad is always there to save the day. Get them from ThinkGeek for $6.99. 24. A faux-leather flask with a thought-provoking Mark Twain quote he'll ~gin-uinely~ cherish. 25. 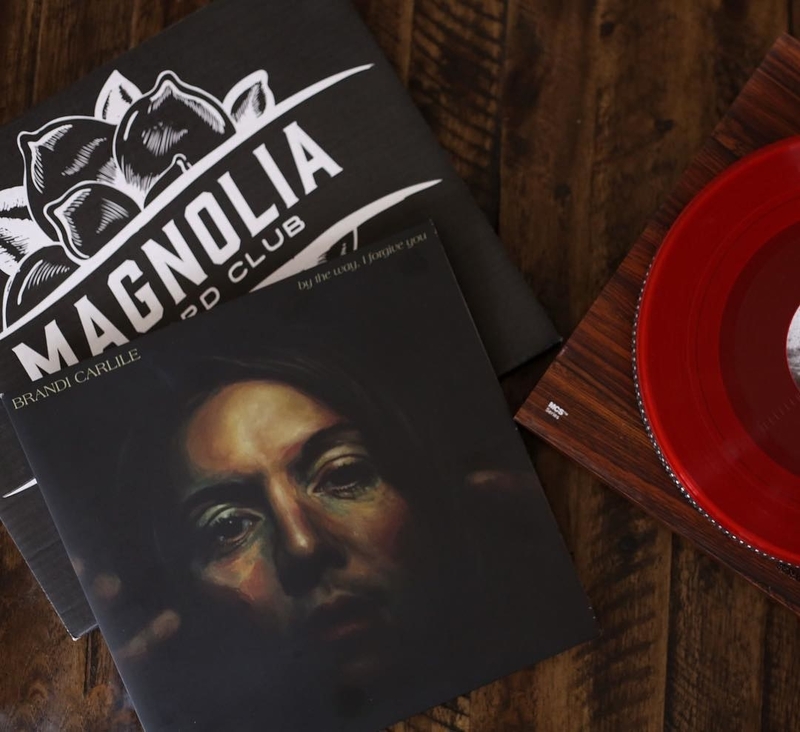 A vinyl record subscription for old-school dads who don't believe in Spotify. Each box comes with an exclusive limited-edition LP, unique artwork, and listening notes from artists. Get it from Cratejoy for 26.99+/month. 26. An elegant rolling glass decanter — it will definitely get the pre-dinner party conversation started because it seems to defy the laws of gravity. Get it from CB2 for $9.74. 27. A spiffy shaving kit to make getting ready in the morning feel a little fancier. This set includes a razor with blades imported from Germany and a shaving cream. Get it from Urban Outfitters for $20 (available in two colors). 28. A genealogy poster you and your dad can fill in together and then hang up as a unique piece of wall art. There's room for six generations on this poster. Get a two-pack from Amazon handmade for $22.35.